Authentic Chinese Dining & Other Restaurants - The Hotel’s dining facilities include Shang Palace, which serves authentic Chinese Cantonese cuisine; an All-Day Dining restaurant, The Lobby Lounge which features a tea room; and a Hotel Bar. 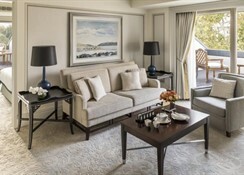 Newest luxury hotel in istanbul, largest lead-in category rooms. Rooms are physically closest to bosphorus; largest percentage of rooms with bosphorus viewonly; hotel where 7 silhouettes of istanbul are visible; closest to city centre (business, shopping & dining); closest to cruise terminal; closest to istanbul convention & exhibition centre ICEC) complimentary wi-fi; more than 1,000 pieces of artworks; hangri-la hospitality. 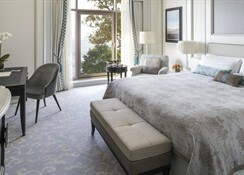 Best Location - Shangri-La Bosphorus, Istanbul has the most convenient location of any luxury hotel in Istanbul. 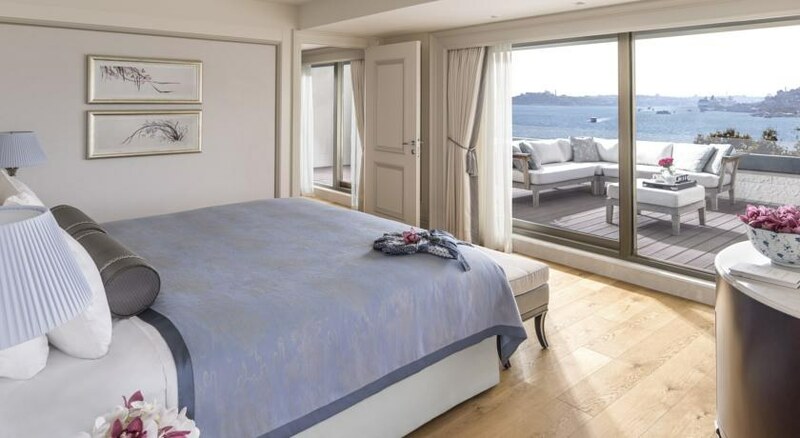 The Hotel is located on the Besiktas coastal area on the Bosphorus, just in front of the Hayrettin Pier near Barbaros Square. It is within walking distance to the city center, and in close proximity to the Istanbul Convention and Exhibition Center. It is also comparatively closer to the Old City of Istanbul and especially one of the most famous sights in Istanbul, the famous Dolmabahce Palace. 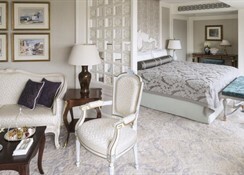 186 Oversized Guestrooms & Suites (largest amongst hotels in Istanbul) Including 17 luxurious Suites. 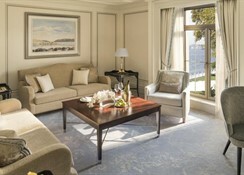 Many provide exquisite views of the city and the Bosphorus Strait. all with branded amenities, all with Complimentary High Speed Internett access; welcome Shangri-La Tea; welcome fruits, replenished daily; Nespresso coffee and tea making facilities, branded bath amenities (BVLGARI Green Tea); 19-inch TV embedded in vanity mirror; Radiant floor heating in bathrooms. 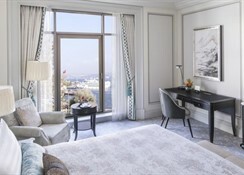 Centrally located in the Besiktas district, Shangri-La Bosphorus, Istanbul, is close to the city's financial district and the Istanbul Convention and Exhibition Centre. The hotel is a 45-minute drive from Istanbul Ataturk International Airport and a 90-minute drive from Sabiha Gokcen International Airport. In addition, the Port of Galata, a terminal for luxury cruise ships, is less than 4 kilometres from the hotel.